Is your computer desktop cluttered with files and folders like mine? In the spirit of getting organized, I made a desktop background with spaces to put specific folders and files. I tend to put time sensitive material on the desktop to save time, but eventually it looks like an embarrassing mess! I am sharing this background with you for free! All you have to do is save it onto your computer and set it as your desktop background image. I designed it for my Macbook pro, for the best resolution setting of 1440×900 pixels. You can change your screen resolution by going into “System Preferences” then clicking on the monitor icon titled, “Display.” I believe the default resolution on a Macbook pro is 1280×800 px. You will be amazed at the difference! Just click on the image, it will open in another window, right click, and “Save As” to save it. To-do, In progress, and Reference spaces for organizing desktop. 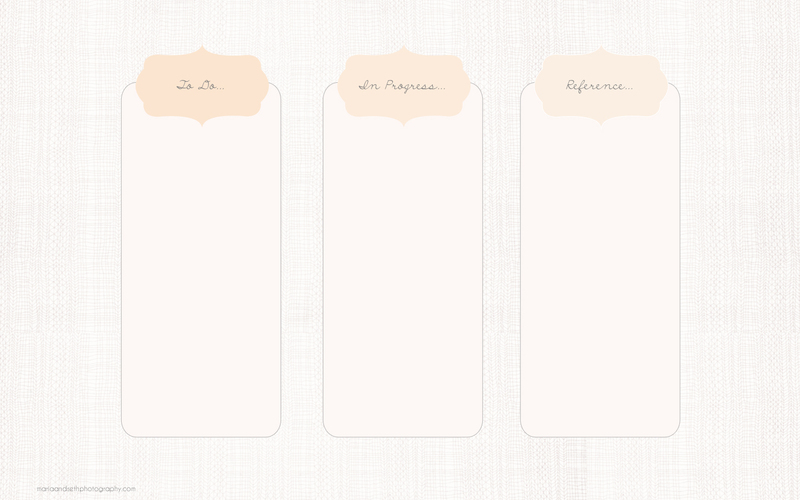 To-do, In progress, and Reference spaces for organizing desktop with quote. “Like” this post and leave a comment if you downloaded the background or want to see more posts like this! Such a great idea! 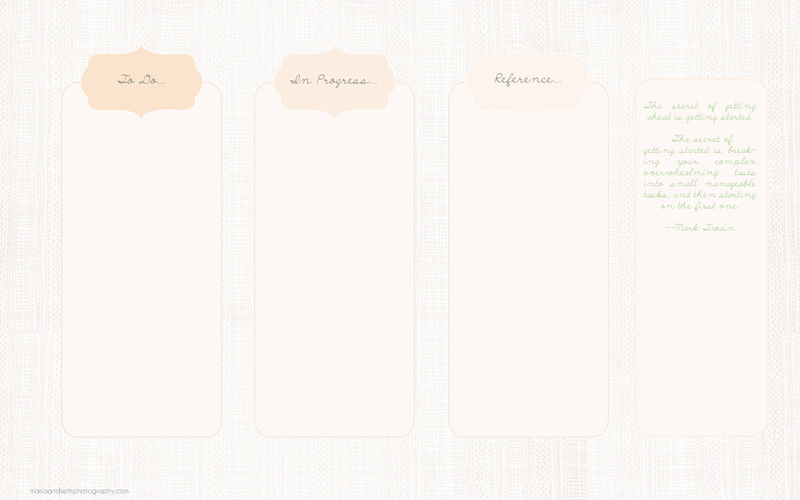 I use digital desktop folders to organize by category but this is so pretty! Thank you! I have organizational folders on my desktop, too. I put those in the “Reference” space of the wallpaper. I have a MacBook Pro so will try downloading. However, my poor laptop is struggling these days. Merci beaucoup!